Corporate Social Responsibility (CSR) in India has gained different dimensions in recent years. The Companies Act 2013 has mandated all companies with Rs 1,000-crore plus turnover, Rs 5-crore plus net profit or Rs 500-crore plus networth, to allocate 2 percent profit for CSR activities. The education in India has evolved over the years after the Independence and there have been notable advances made across various indicators. However, significant issues regarding the quality of education –such as lack of training, lack of infrastructure, quality of teachers, irrelevant curriculum and lack of accountability, continue to be challenging. These can have serious consequences on the development and growth of the country. Therefore, significant investments and efforts from the government and private sector are required to meet emerging needs and to boost the level of growth in this field. A recent survey states that 81 percent of companies said their corporate social responsibility (CSR) spend was on activities concerning education, 64 percent on community development and 61 percent on environment sustainability. Today, education in India has challenges of strained budgets, education infrastructure, teacher training, retention, and relevant curriculumCorporate India has been participating in the education sector through starting private sector for-profit education ventures as well as allocating their CSR spends on non-profit initiatives. This is proving to be win-win for all. Improving the area of education will not only result in the development of more aware and conscious society but also elevate the status of the country. Businesses that offereducation as an integral part of their CSR, can make a substantial difference to the society they operate in. It also positively influences the reputation and recognition for the business. Another challenge that the country is facing and potentially a huge opportunity awaiting out there is the Skills training. There exists lot of scope in promotion of vocational skills training across a variety of vocations that the country would need in the coming years / decades. Education in its totality, must include education of the heart alongside education of the intellect. A lot needs to be done in this direction. Emotional intelligence and social awareness needs to get prominence in the curriculum as we march towards becoming an economic power. The backbone of every society is education. But what weighs the most is the quality of education. In India, out of the 239 million students enrolled for classes I – XII, only a handful receive the quality education with qualified teachers and education aids. UNICEF states that 40-50 percent of the children from 16-18 years are dropping out of schools to go on to becoming child laborers denying themselves access to quality education. The Indian corporate sector has a big opportunity to play an impactful role in changing this by adopting different ways to improve the quality of education. 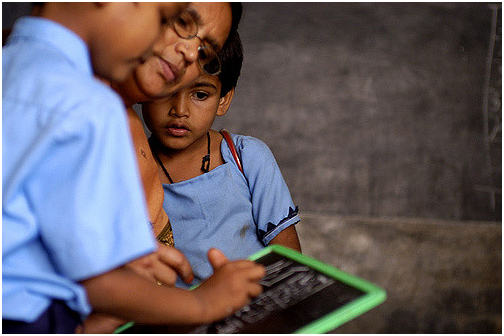 The CSR system can play a catalytic role in changing the educational spectrum in the country. It is hoped that both the corporate sector and the educational eco-system will be able to secure the resources they need to make way for providing fair, quality and effective education to all our children.